Down right fabulous the Ceramic & Brass Cockatoo Candle Holder is an eclectic home accessory that will make your interiors sing. A handsome fellow the pink cockatoo perches on a teal blue base with a gold leaf decorative stand weaving upwards, with a inky blue pillar candle holder at the top. This delightful feathered creature measures 37cm in height and made from ceramic. The Ceramic & Brass Cockatoo Candle Holder is also available as a stylish Wild Cheetah Decorative Candle Holder. 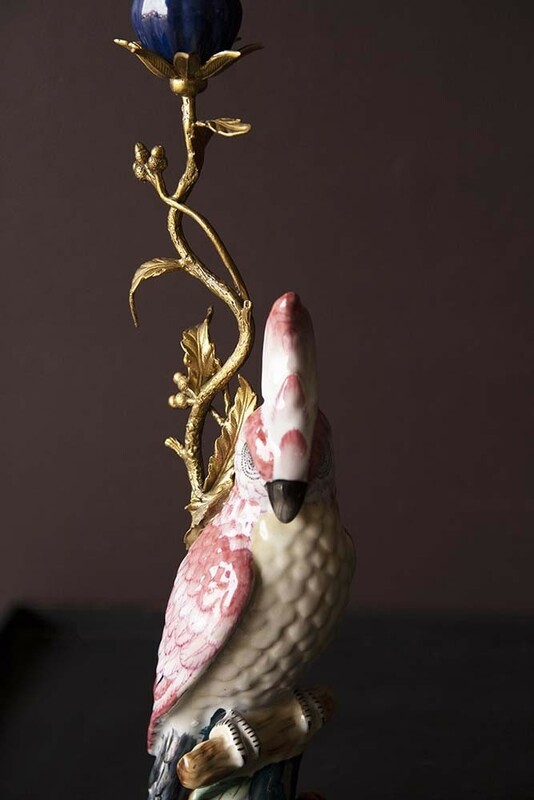 Perfect for adding animal magic, personality and that coveted wow-factor to your décor, we think that anyone who loves quirky, eclectic and kooky objects of interest will love this cute Bird Candle Holder. 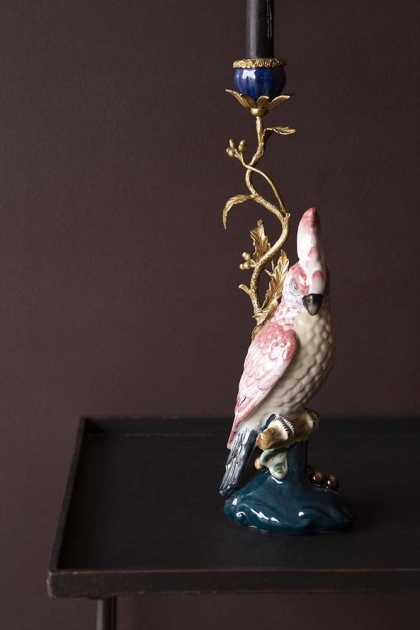 Super stylish and like nothing you would have seen before this traditional style Cockatoo Candle Holder would make a lovely gift for any friends or family members that love unusual pieces. Where To Style Your Decorative Candle Holder. Perfect for livening up your home interior, the Ceramic and brass Cockatoo Candle Holder would look great in your living room on your coffee tables, mantelpieces or side tables, in the hallway on your console tables or shelving or in the bedroom on your bedside table as an alternative lighting choice! 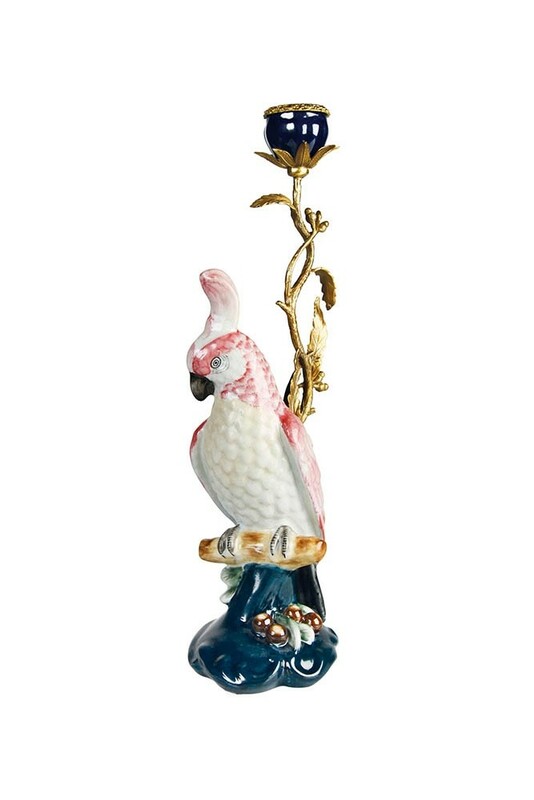 Oh so fabulous, no matter where you choose to style the Pink Cockatoo Candle Holder he is guaranteed to add eclectic charm to your home.